The end of 2018 saw New Jersey continue to take aggressive steps to implement one of Governor Murphy’s major policy priorities, reducing the state’s greenhouse gas emissions. On December 17, 2018, NJDEP proposed two rules meant to provide a framework for reentering the Regional Greenhouse Gas Initiative (RGGI), a multi-state, market-based program that establishes a regional cap on CO2 emissions and requires fossil fuel power plants with a capacity greater than 25 megawatts to obtain an allowance for each ton of CO2 they emit annually. New Jersey had previously participated in RGGI beginning in 2008, but withdrew from the program in 2012 under the direction of the Christie Administration. The proposed set of RGGI Rules would establish the New Jersey Carbon Dioxide (CO2) Budget Trading Program, a cap-and-trade program that would set a state-wide carbon budget for large fossil fuel electric generating units (EGUs) and would require such sources to possess CO2 allowances equivalent to their annual emissions, which could be obtained through quarterly allowance auctions. EGUs with a generating capacity over 25 megawatts would need to possess adequate CO2 allowances beginning in 2020. The rulemaking package would further establish the Global Warming Solutions Fund, which would provide for a set of standards for the allocation and use of funds generated through the sale of CO2 allowances. 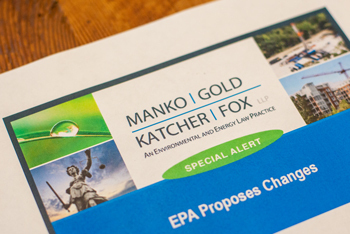 A public hearing on the RGGI Rules is scheduled for January 25, 2019, with written comments on the rulemaking package due to NJDEP no later than February 15, 2019. Participating TCI states could then use the proceeds from such program to reinvest in a low-carbon transportation infrastructure. The TCI is currently in the planning stages, but the group expects to develop a final policy by the end of 2019. Like RGGI, states will have the option to implement TCI’s policy proposals through the adoption of rules in their respective jurisdictions. Participation in the TCI builds on the momentum of NJDEP’s Green Drive initiative, a program that encourages the use of electric vehicles and the establishment of the necessary infrastructure through mechanisms such as tax incentives for the purchase and use of electric vehicles and grant programs for the installation of electric vehicle charging stations. As 2019 progresses, we will continue to track New Jersey’s development of the RGGI Rules and its participation in the TCI, as well as any other efforts to implement programs to address greenhouse gas emissions from sources within the state.